Home » Uncategorized » Countdown to GENCON 2016! For the next seven days I will be counting down to GenCon 2016 by releasing an image from Cauldron: Bubble and Boil! 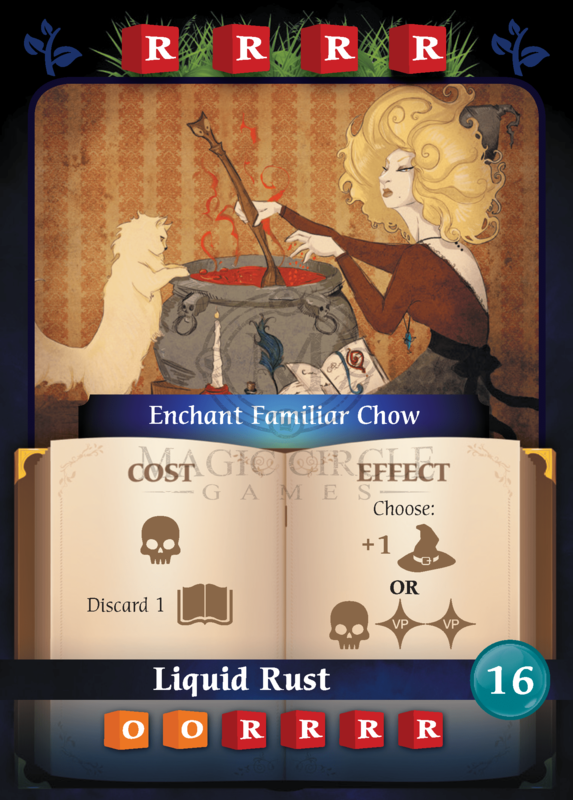 Today we start with a card, the Enchant Familiar Chow card. Let me know what you think! Also, don’t forget to check us out at the First Exposure Hall!